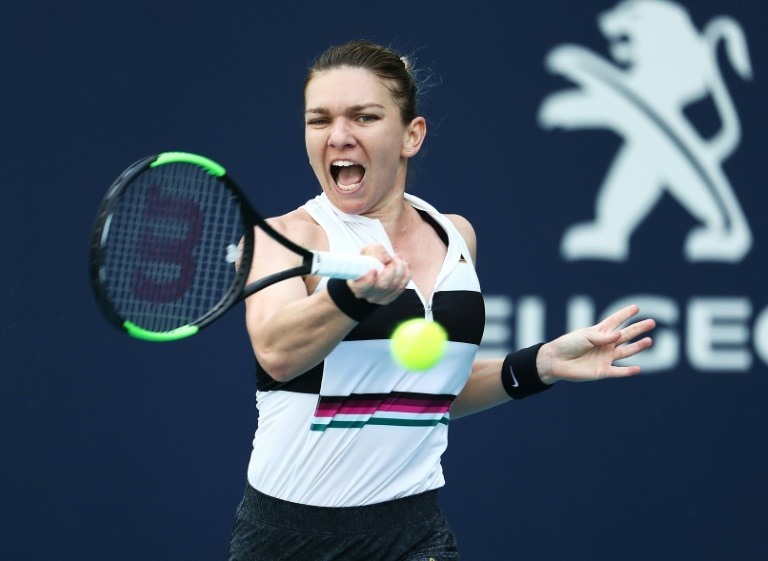 MIAMI — Romania’s Simona Halep moved closer to reclaiming the world number one ranking Wednesday, advancing into the WTA and ATP Miami Open semi-finals by defeating China’s Wang Qiang 6-4, 7-5. Following Tuesday’s exit of Petra Kvitova, Halep needs only to reach Saturday’s final at Hard Rock Stadium to knock Japan’s Naomi Osaka from atop the women’s rankings despite her second major title in this year’s Australian Open. Halep converted seven of eight break points and hit 24 winners compared to 14 from Wang, whose first serve percentage dipped to 47 per cent. That chance looked lost as Wang stormed 0-40 up on the Romanian’s serve, but Halep superbly saved all three sets points before a brilliant running forehand winner down the line to equalize 5-5.